Processing:: Images were focused, reduced, aligned, and combined (Average) using ImagesPlus. The combined image was adjusted (Levels, Curves, Shadow/Highlights) in Photoshop CS2. Noise was reduced using Grain Surgery. 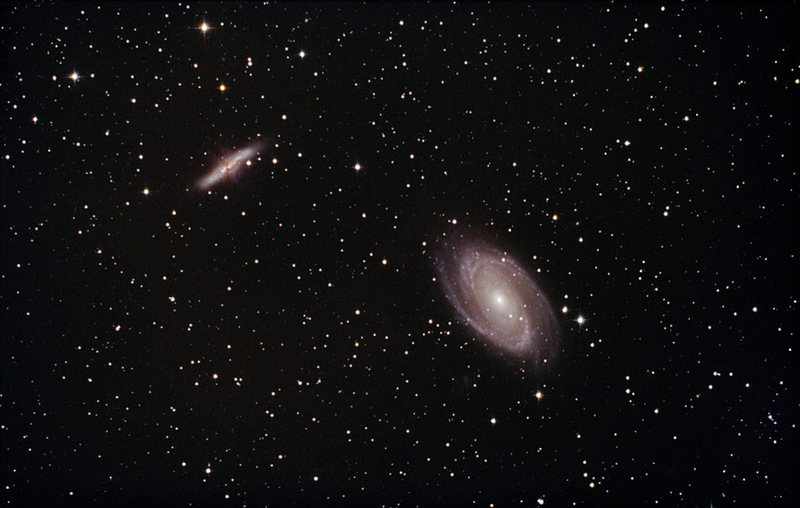 Note: Shot from my backyard observatory in southeast Minnesota. Outside temperature was 15 F.